Take Sunset Highway (Highway 26) West from Portland, towards Cannon Beach/Seaside approximately 50 miles until you see “Elderberry Inn”, a restaurant complex on the right. Continue past Elderberry for approximately two miles (near mile post 20) until you see a sign pointing to the left labeled “Nehalem River – Henry Rierson Spruce Run Park”. Turn left to stop sign, then left again and follow road 13 miles through Spruce Run Park (mile post 5), and watch for a railroad crossing sign. It takes approximately 20 minutes to cover the 13 miles, so don’t give up. Immediately past the RR sign you will come to the Salmonberry Bridge. Cross the bridge and our property is the first driveway to the left. Take Highway 101 to Junction with 53 North (between Nehalem and Wheeler) turn East (left if coming from Nehalem – right if from Wheeler) towards Mohler. Pass Nehalem Bay Winery, through Mohler, over the bridge – and turn right on Nehalem River Foley Creek Road. Stay on this road for a few miles and watch for railroad tracks. Cross the tracks and immediately turn left on Foss Road. 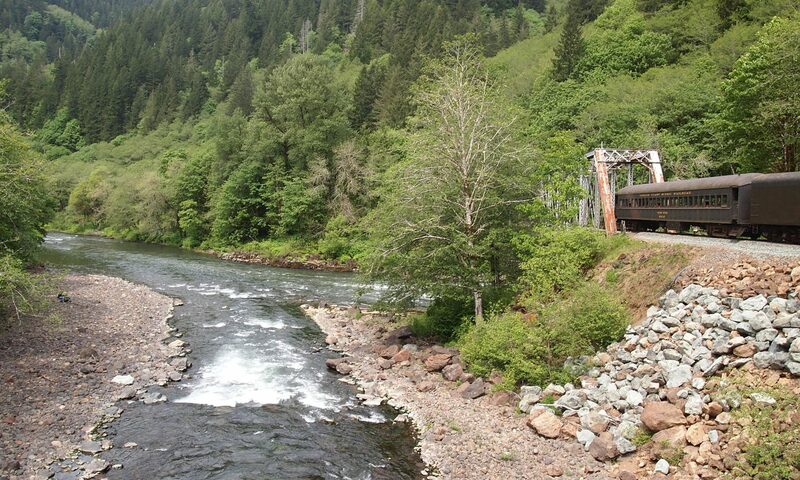 Follow Foss Road up the Nehalem River for approximately 15 miles (to mile post 15). You will come to the bridge over the Salmonberry River. Our driveway and gate are on the right just before the bridge. Take Highway 26 East towards Portland approximately 23 miles, past “Camp 19” and watch for “Onies” restaurant on the right. Just past “Onies” take the road that angles to the right labeled “Nehalem River, Spruce Run Park.” Follow that road for 13 miles, through Spruce Run Park (mile post 5), and watch for railroad crossing sign. It takes approximately 20 minutes to travel the 13 miles – so don’t give up. Immediately past the railroad sign you will come to the Salmonberry Bridge. Cross the bridge and our property is the first driveway to the left.